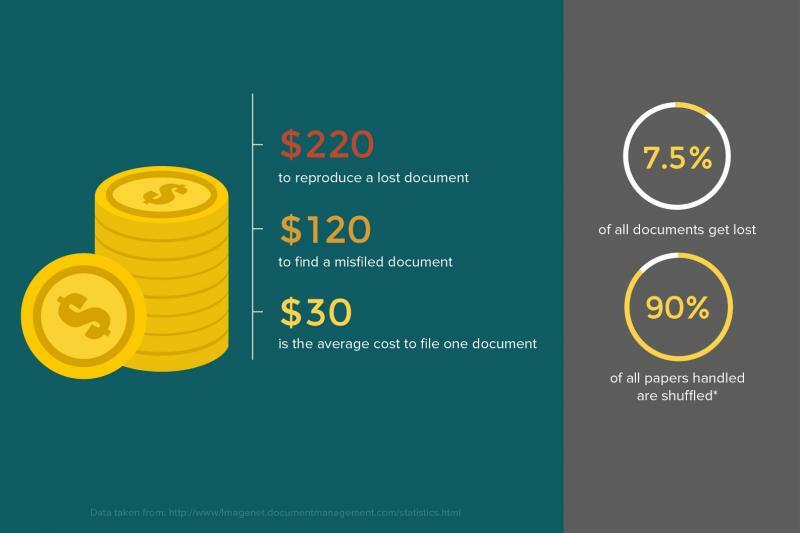 Most businesses rely on paper documentation. But this reliance is not completely foolproof. Just like how a plane can get still get hijacked regardless of the super-high security measures being implemented, paper documents are also prone to hijackers. This blog lists five possible hijackers that may cause harm to your paper documents – and ultimately, your business. True enough, losing documents is an expensive mistake – not to mention all the complications it causes your organization thereafter. Paper documents are highly susceptible to damages caused by flood, storm, earthquake, and fire. Even a simple rain that penetrated your office can destroy hundreds of documents. More often than not, the damages caused by these kinds of disasters are irreversible. But the fiasco doesn’t end on digitization. When hardware crashes, so do your files. Electronic documents stored on workstations and servers across your operation are equally vulnerable to catastrophic loss. Here comes Enadoc’s cloud syncing. Depending on your subscription, Enadoc can give you access to important documents instantly from your web browser using any device. Enadoc also ensures that your backup medium is stored at an off-site location providing a means to recover your data in the event of a disaster. Learn more. We can’t predict disasters, but we can prepare for them while minimizing impact. The Online Trust Alliance (OTA) reported that in January to June last year, only 40% of data breaches involving the loss of personally identifiable information (PII) were caused by external intrusions, while 29% were caused either accidentally or maliciously by internal staff. To address this, Enadoc has developed its on-premise solutions and cloud subscriptions with hexagonal security architecture that provides additional innovative features to traditional triangular security when it comes to keeping company information secure from external and internal threats. Read more about this in our previous post. Whether by accident or deliberately, deletion of critical documents does happen. But this problem about deletion goes beyond your paper files. Even digitized documents are not exempted from accidental or even deliberate, malicious deletion. This is where Enadoc on Cloud saves the day. Enadoc on cloud ensures that documents are safely backed up in the clouds so that deletion won’t negatively affect your operations. Paper – being biodegradable – naturally decomposes. TRIVIA BREAK: Do you know why your paper documents turn brown? Over time, the organic substance in the paper called lignin reacts with air, turning it brown. Also, whenever you touch a paper, the acid in it reacts with your fingers which can make it brittle and can also give it brown spots. Even contained moisture can initiate paper’s decomposition. In an office setting, frequent handling and exposure to air of the documents is inevitable (unless you work in a museum — then that’s a different story). Eventually, your paper documents become unreadable. What processes do you have in place for backing up your critical paper documents? Consider where and how your paper documents are stored. How confident are you that the document’s state will not change, say, in 50 years? 100 years? Documents are the heart of any organization. Why risk them? With Enadoc, these five threats are reduced, if not completely removed. Whoever said that you can’t buy peace of mind may have to reconsider things. 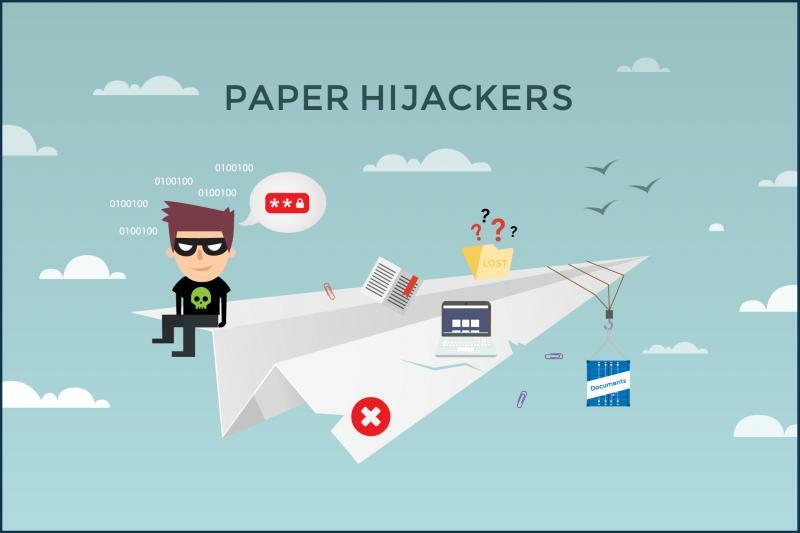 For more information about how you can avoid these paper hijackers, visit www.enadoc.com.